The war film genre is one where the sensationalisation of the gains and losses on the battlefield and highly fictionalized moments drenched with brotherhood, duty, and honour, are what differentiate it from other film genres. 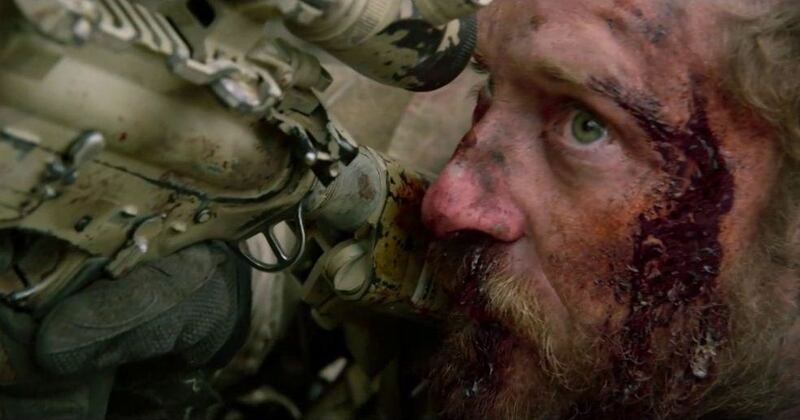 Sadly, Lone Survivor is no different from the many other war films that have come before it. Despite its lack of originality in a genre that has, for the most part, run out of ammo in the originality department, one of the advantages that the film has compared to more recognizable battles of the past, is the obscurity of Operation Red Wings (the mission the film is based on) and the lack of mystery as to who lives and who dies. Lone Survivor tells the story of Operation Red Wings, an American search-and-destroy mission in Afghanistan, and focuses on the four men sent in to do the job. Giving a little insight into the lives of Petty Officer Second Class Danny Dietz (Emile Hirsch), Petty Officer Second Class Matthew Axelson (Ben Foster), Lieutenant Micahel Murphy (Kitsch), and Petty Officer First Class Marcus Luttrell (Wahlberg), the film is a comical and brutal account of the ethical decision-making on the battlefield and the impact of certain ‘rules of engagement’. Within the war film genre, death is inevitable and thanks to its spoiler-laden title, audiences already know that only one of the four main protagonists actually comes away with his life. However, by taking the focus away from the mystery of who lives and who dies, the film is able to quickly establish heartfelt connections and deliver a deeply emotional response, even if the roles are played by not so emotionally impacting actors like Taylor Kitsch and Mark Wahlberg. As the opening monologue of the film echoes in its first few minutes, “There’s a storm inside all of us; a burden, a river, a drive, an unrelentless desire to push yourself harder and further than anyone can think possible”. This storm, this drive, is one that can be appreciated through the growing body of work of writer/director Pete Berg. Berg has made a career as Hollywood’s go-to director for entrusting soaring production budgets and seasoned action stars, while confidently obtaining a great box-office return, despite dismal or mixed reviews. From Friday Night Lights and Battleship, to the out of nowhere mega-blockbuster Hancock, Berg has been fortunate with large scale budgets and generous star power behind his films. Spanning the course of five years, Lone Survivor is Berg’s passion project. Working for the Director Guild of America with minimum salary, Berg was instantly drawn to the memoir of Marcus Luttrell during the production on Hancock. After proposing the film to Universal studios, and getting stars Wahlberg and Kitsch at a discounted rate, the funding for his film was the only reason Berg actually agreed to make Battleship. The film is being hailed as an authentic representation of the encounters many US Armed Force Officers are faced with. Although at times repetitive, the film is a bustling, hard-boiled piece of the American military life and a look into the lives of these triumphant men and women. Filled with moments that will have you clenching your fists and lifting yourself off the seat, Lone Survivor is a true testament of the artful representation of violence–proving that in Berg’s book, moderation is definitely for cowards. Much like the highly overrated Captain Phillips released earlier in the awards season, the film really does not shed much light or give any insight to the antagonists of the film–the Taliban. Pursing Operation Red Wings for the sheer fact that their target is notorious for killing off Navy SEAL’s, the four men are tested; mind, body, and soul through a perilous journey where their actions dictate the consequences of their future. Other than a scene involving a decapitation of one member of the Taliban as a supposed traitor, the film’s first half shows the target Shah (Yousuf Azami) and his heartless second-in-command Taraq (Sammy Sheik) as diabolical animals. It isn’t until we reach the last part of the film where the true nature and over-embellished actions of the Afghani people are accurately depicted. Despite the celebrity status of the four leading men, the real stand out is the always camouflaged Ben Foster. Taking queues from his career best The Messenger back in 2009, Foster brings a vulnerability to his role as Petty Officer Axel, one that quickly outshines his male cohorts. Foster’s interpretation of inevitable death and the persistence to keep fighting for his country, is one that out-guns anyone else in Lone Survivor. When the mission is compromised and the four men are forced to decide the fate of the three civilians they take captive, the film with an obviously overcasting American attitude, becomes even if just momentarily, a quite reflective art-piece. Thanks to the memoir of the only surviving member Marcus Luttrell, the film highlights the fundamentals of the Afghan culture as well as highlights and gives due diligence to the reason for his survival–which comes as a big, pleasing, politically correct surprise. 2014 has just begun, and although the film premiered to a selecte few audience members in 2013, I can confidently stand by my opinion that the film will offer one of the best photographic opening montage credits scene of the year. Showing the gruelling world of these Navy SEAL Officers who abandon all physical and mental sanity is portrayed in the opening credit sequence as a tactical and highly effective way to introduce audiences to the real world of pain, adrenaline, and perseverance many American men and women face when becoming SEALS. Contrary to what people may say, Lone Survivor surely will not be a serious contender at this year’s Academy Awards although the film is one that pushes its audience relentlessly to the far corners of their comfort zone and forces them to endure the hardships these men, along with many Afghani people, constantly face being abraded by the Taliban. Lone Survivor is a hairy chested, rootin’-tootin’-shootin’ war epic with some badass action, mild humour and fantastic stunt work that will allow for the worst month of the cineplex’s to go by just a little bit faster. Night Film Reviews: 6.5/10 Stars. 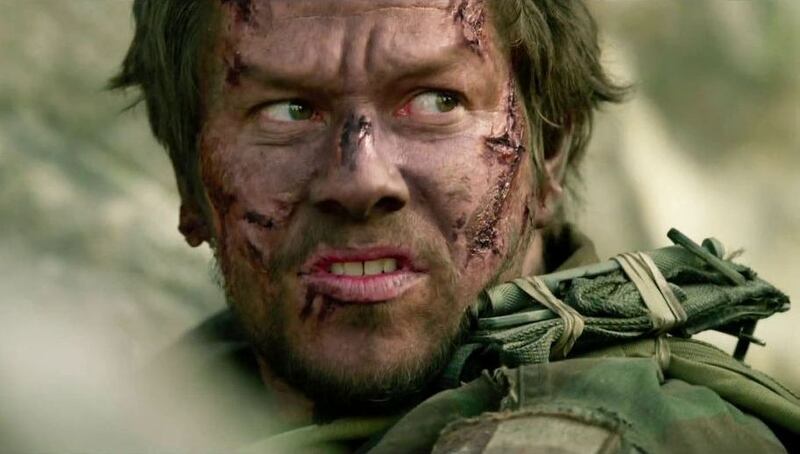 What are your thoughts on Peter Berg’s newest film Lone Survivor? Destined to be a new war classic or just the next pirated classic? Do Kitsch and Wahlberg deliver the goods or shoot blanks? Leave your comments below! This entry was posted in Reviews and tagged Ali Suliman, Ben Foster, Emile Hirsch, Eric Bana, Jerry Ferrera, Lone Survivor, Mark Wahlberg, Peter Berg, Rohan Chand, Taylor Kitsch. Bookmark the permalink.